Protect your team and yourself from splashes with the Jackson Safety V80 Monogoggle. 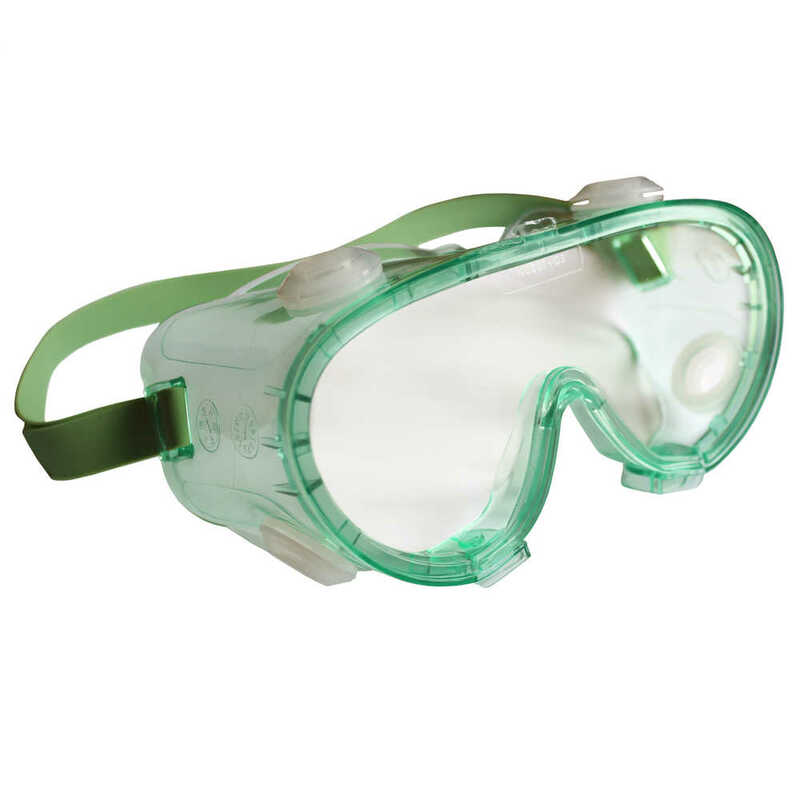 The safety splash goggles give you eye protection from liquids with a two-piece frame which includes a separate soft, cushioning nose piece for enhanced comfort and fit. The goggles have indirect ventilation for increased airflow, which also minimizes condensation and fogging. Headband buckles are located toward the rear of the goggles to limit peripheral vision interference. The anti-fog goggles are clear (with a green frame), making them ideal for indoor use and maximum light transmission and they fit over most prescription eyeglasses. The polycarbonate lenses are hard coated for scratch resistance and longer life and they provide 99.9% UVA/UVB/UVC protection. The splash safety goggles meet the ANSI Z87.1+ standards for impact, with a D3 rating for droplet and splash protection.